Many of the world’s top companies choose Control Risks to be their risk consultant. The world in which our clients operate grows ever more complex and many are driven to work in overtly hostile environments where protecting people, assets and reputation is a real challenge. Companies, governments and international organizations come to Control Risks because we have a proven record in helping them manage risk and maximize opportunity. For many of our clients we have been their preferred risk management partner for almost 30 years. We also have a breadth of skills and an international reach and presence that few others can match. Service areas - for a flavour of Control Risks' broad portfolio of services. How we can help - for an overview of some of the problems and issues we can help to solve. Sectors - for detail on our experience working for a specific industry sector. Regions - for information on our regional expertise and experience. Control Risks' expertise in the area of risk consultancy has been developed over three decades. We are constantly adding to this source of knowledge. 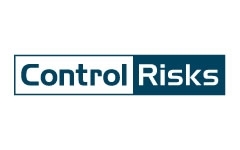 Control Risks is a leading international business risk consultancy. Since 1975 we have worked in over 130 countries for more than 5,000 clients, including more than three quarters of the Fortune 100. Through 27 offices worldwide we enable our clients to succeed in complex and hostile environments around the globe. We provide the full range of services required by organisations wanting to minimise risks to their operations. With our specialist knowledge and expertise across industry sectors and all geographical regions, it is little wonder that our clients range from major manufacturers to service industries, governments and non-governmental organisations (NGOs).